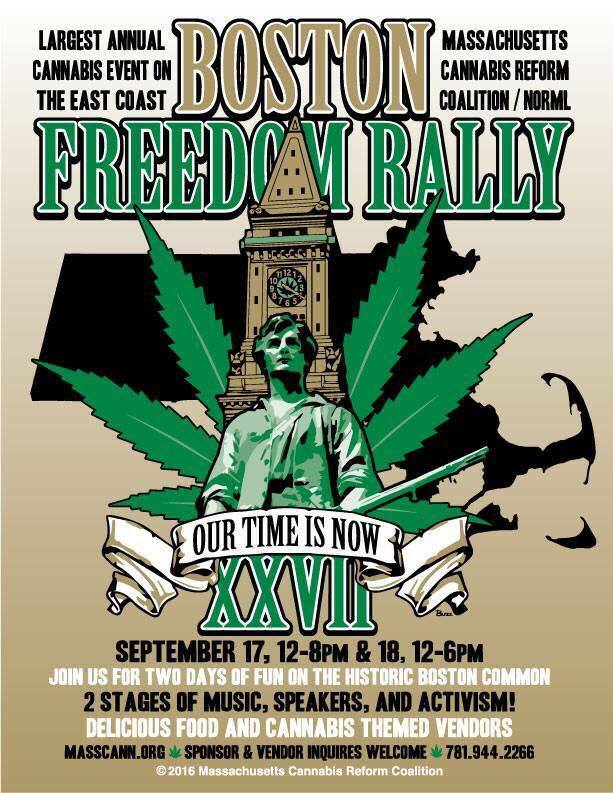 The City of Boston is still withholding our permit for The Boston Freedom Rally, our free-speech event on the Boston Common, September 17&18, 2016. There will be speakers, a Teach-In at the Education Village for the voting public to learn about Question 4, CRMLA’s ballot initiative, and of course, reggae music. Everyone is invited to the Education Village, including anyone who would like to discuss the issues before voting. We will post a curriculum and schedule. Bring your parents! Issue an invitation to your doctor! Invite your legislator! In the meantime, we have submitted our request for the dates well in advance so that foot-dragging by the City won’t result in a last-minute court case as has happened in the past. Stay tuned to see if we have to go back to court to sue for the right to free speech!